Here's how to set up a live feed to our YouTube channel. You might also consider using Livepeer in tandem. 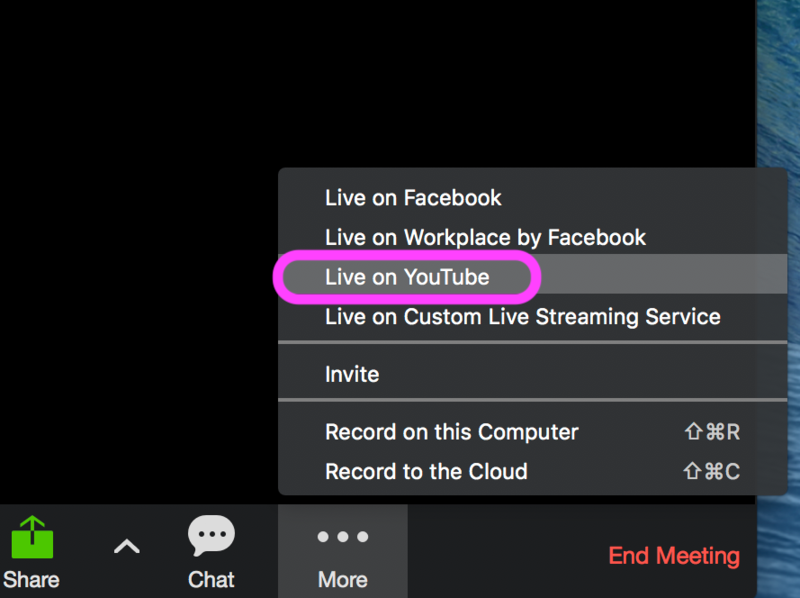 Add the event to the Status Calendar so it's accessible, adding the YouTube Live address in the invite. 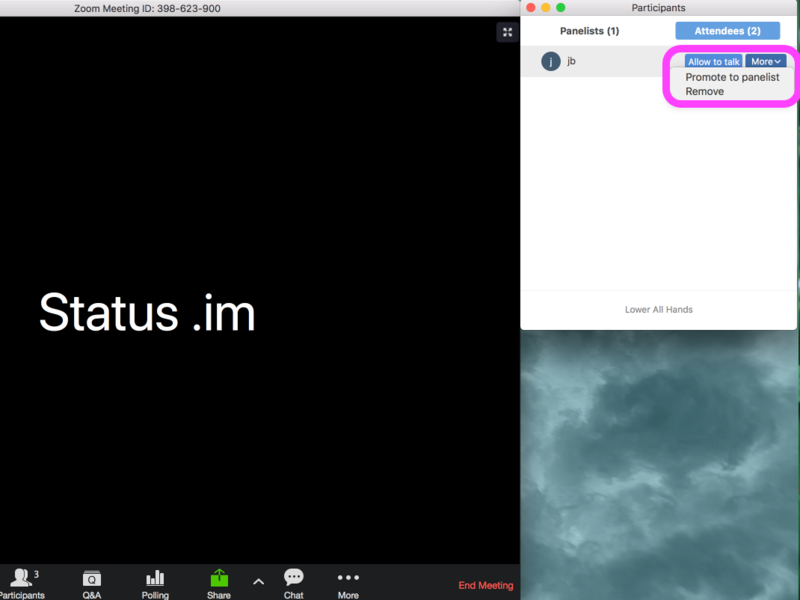 If you want all Status core contributors to be notified, send out the invite to status-all@status.im. Ping @ceri, @rajanie or @jonny and request the Zoom company account login credentials, and for your YouTube access to be upgraded to Manager. Accept the YouTube and LastPass invites you receive. Log in to Zoom using the company credentials. Navigate to My Webinars, then click Start next to your chosen event. 2. If you'd like participants to be able to talk in the Zoom, be sure to promote them from Attendees (listen only) to Panelists, by clicking More > Promote to Panelist. If you have a co-presenter, they should arrive early, as you may find you’re unable to leave your slides once presenting live to upgrade their status to Panelist. You can also right click on their name and make them a Co-Host, allowing them to help you manage participants if you're busy presenting. 2. Pull up your slides (if using) by choosing the Share option in the bottom navigation. The live YouTube page should pop up in a browser. Mute it as there is a ~15 second delay which causes an echo if you're both presenting live and listening to the feed. 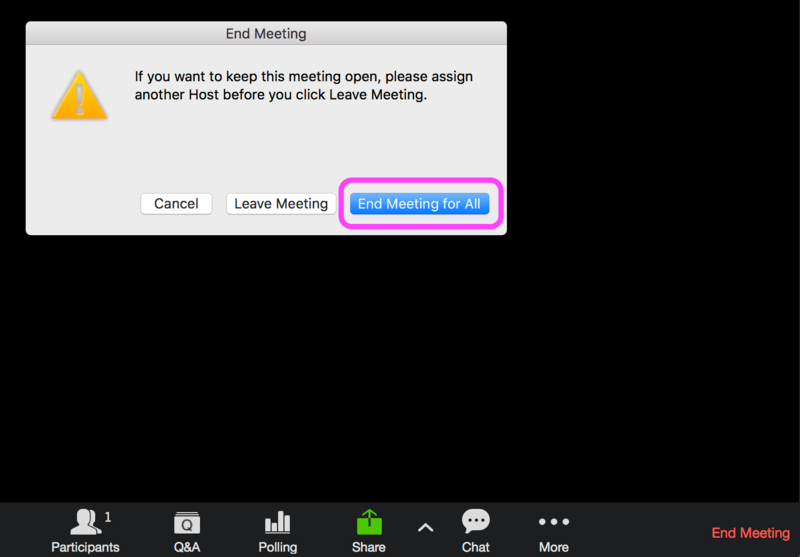 Click End the Meeting > End the Meeting for All in the Zoom window. If you're happy for the raw recording to stay as it is on the YouTube channel, no further action required. If you'd like to add a thumbnail, or include the video in a playlist, ping @ceri/@rajanie/@jonny for help. 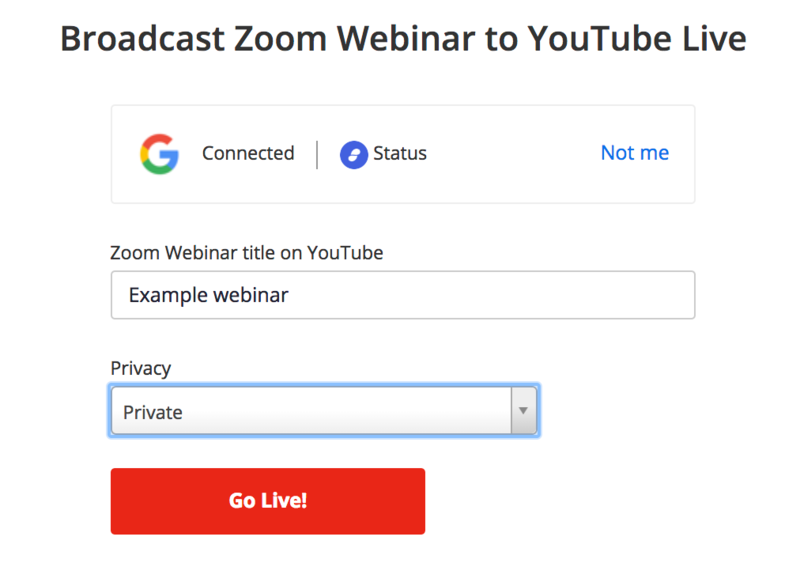 Zoom allows us to host webinars with up to 100 viewers as well as broadcast the session to YouTube. Can I use my own Zoom account? Our subscription level only allows for one individual account to have live broadcast functionality enabled, and it is this one, so please don’t use your own account. Can I keep my YouTube manager access after my talk? You'll be using the official Status account. For security, we will revoke access after the talk, unless you need frequent/ongoing access - please request from @ceri/@rajanie/@jonny. Where can I get help on the day? Ping @ceri/@rajanie/@jonny for support & troubleshooting. What are some things I should check when aiming for the best quality broadcast? Practice speaking slowly and clearly so viewers with different levels of technical knowledge or non-native speakers can follow along easily. Find a quiet space without much background noise. Check your mic for clarity - ping a fellow team member on a test Zoom meeting to check your mic sound quality. Check for any pop-up notifications that may interfere with your broadcast and switch them off if necessary. How do I do Q&A with attendees in the Zoom window? If making time for Q&A in the session, scan for comments in the YouTube feed or in the Zoom chat window/participants list. Attendees in your Zoom who are not Panelists can't unmute themselves on demand, they can "raise a hand" to show you that they want to talk. It's up to you to unmute them to allow them to ask a question.